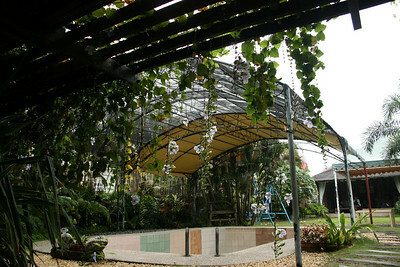 Balai Gloria is a private resort located at Washington St., Solano, Nueva Vizcaya. A good landmark to know is to turn right at the road across McDonalds along the main road (or left if you're coming from the other way). I was unable to get more contact details but the resort should be more Google-friendly soon since when we went there, they were preparing for a party. The pool was empty of water but the place was still reeking of charm and ambience and nature. 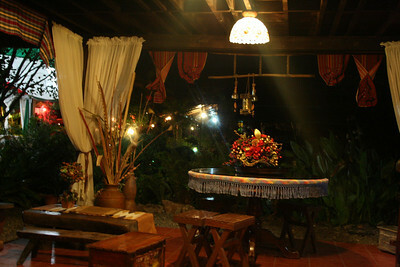 Plus, the cottages are really cheap (with air-condition and cable TV, as well as private CR). 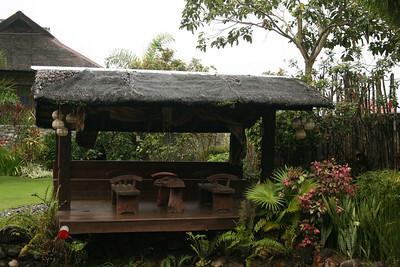 We stayed in one that costs P800/night (that comes with two single beds). You pay P250 for every extra bed. No two cottage is alike. 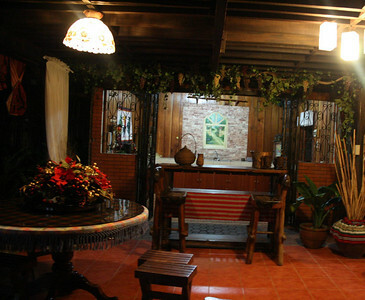 And each cottage has been done in great taste, showcasing wooden furnishings and capiz trimmings. It's just really, really lovely there. 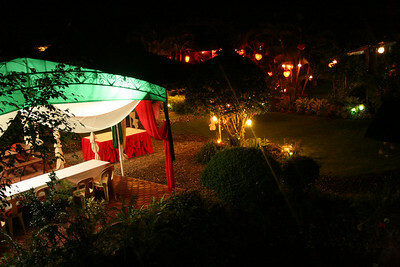 There are at least two pavilions where parties/gatherings can be held. Not sure if they have a restaurant or do catering though, because we only stayed there for the night. So when you're driving up north, you might want to take a side trip here. It's also a great pre-nuptial photoshoot venue. We stayed in one that costs P800/night (that comes with two single beds). 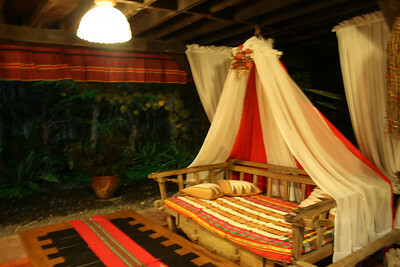 You pay P250 for every extra bed. My wife and I stayed there about a week at 800 a night for two of Spartan, but very clean and super quite place (until you go out of the compound at night and wake up all the dogs in town). The restaurant opens at 10AM, and room service is recommend. Unfortunately there is no space for a regular table in the room, so either we enjoyed breakfast in bed, or “persuaded” the waiters to serve us at the restaurant table instead. Transportation is plentiful, ready, and cheap: as low as $0.25 to less than $2.00 within town, tip included; the transport is a “tricycle”: a bike with a sidecar ingeniously harnessed to the bike. It’s amazing how many people can fit in it and more amazing is how a 0.1 liter engine can carry them all. Both not to be missed experiences.